Twin Discovery Systems is the #1 eCommerce Wholesale Distributor of Quality Commercial Products with online catalogs including a full selection of Stanchions and Crowd Control Gear, Hotel Supplies, Store Fixture and Displays, Mannequin Displays, Traffic Cones and Signs. We are proud to market products that improve a customers experience with your organization. In the energy business today, the challenges are immense, complex and dynamic. If you are an oil or gas energy explorer or producer, you have a significant investment in machinery to protect, the safety and welfare of your workers to keep in mind at all times and your property to secure. Oil and gas production requires significant production facilities and transportation capabilities. At TrafficSafetyExperts.com we specialize in the supplies to protect your oil and gas production facilities. After working with oil and gas producers around the world, we know what type of specialized equipment we can provide to support your production. For instance, in many locations, water filled jersey barriers are used to delineate road ways as heavy equipment moves around the production facility. These are easy to move and both protect equipment and identify traffic thruways. Our 42" high delineators provide an economical way to identify traffic patterns and mark off work areas. Our wall mounted retractable belt stanchions are used indoors to protect machinery and create safe loading docks. We have many products that are used to create FME barriers and help you stay OSHA compliant. 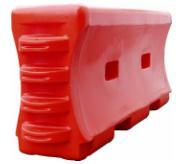 Visit us at www.TrafficSafetyExperts.com to view our full selection of safety cones, safety tapes, barriers and other industrial workplace safety solutions or to speak with a Customer Service specialist, call 631-367-2005. 2012 Twin Discovery Systems Inc.. Awesome Inc. theme. Powered by Blogger.